Studio Souk is an innovative, open-plan studio and retail space located in the heart of Belfast city centre. We give our customers the opportunity to engage directly with our lovely in-house designers, artists & makers. Our residents work their magic and create unique handmade designs or up cycle previously unloved items into stunning pieces. We are a not-for-profit organisation that supports local artists and designers in a stimulating and creative environment, giving lots of single person enterprises, valuable peer support and a opportunity to be involved in a creative community. Studio Souk creates an atmosphere in which creativity thrives and artists learn from one another and collaborate together. 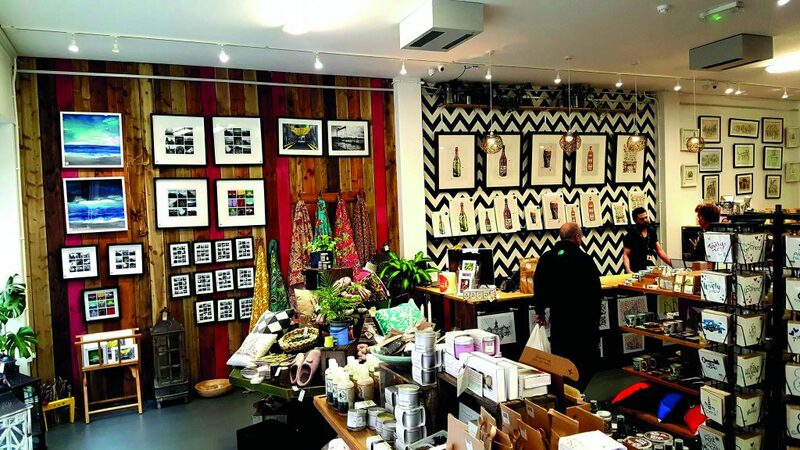 One of the main focuses for Studio Souk is the idea of ethical consumerism and the environmental benefits that go along with it; offering the ‘smart shopper’ a unique experience and a break from the monotony of the high street, allowing them the chance to purchase bespoke items, support our ethos and local businesses, allowing the local community & economy to blossom. Check us out on the BBC Arts Show! !